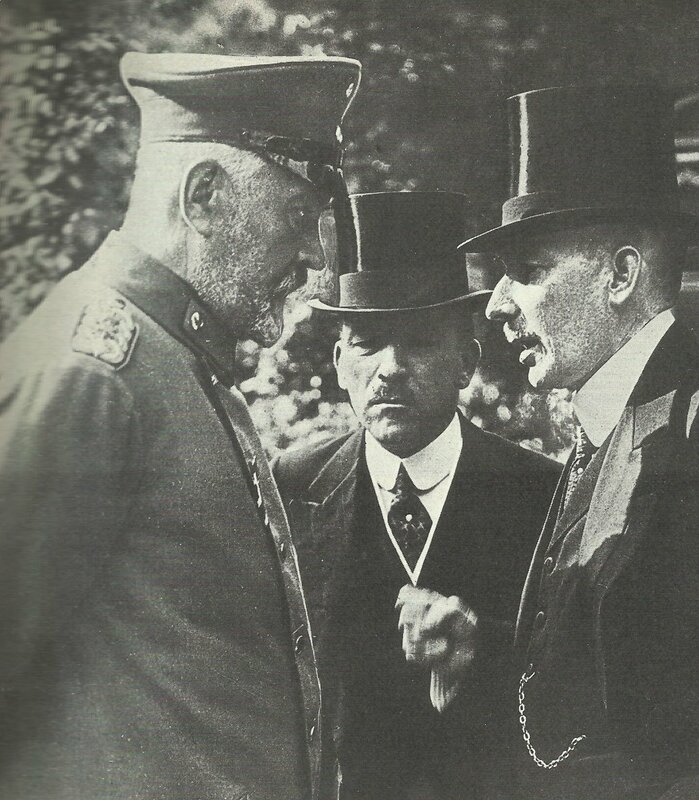 Reich Chancellor Bethmann-Hollweg (left in uniform) with Vice-Chancellor Helfferich and Foreign Secretary of State Jagow. The Chancellor was never able to contend with the ‘falcons’ in the government, the military, and the national circles with their annexation plans. He lost more and more power and influence and his opponent succeeded in 1917 finally to overthrow him. Germany: Chancellor Bethmann comes under sustained pressure from German Army and Navy for unlimited U-boat warfare without delay (December 20-26). Ludendorff urges immediate unrestricted U-boat war in view of Lloyd George reply. Galicia: Severe fighting west of Brody. Rumania: Russian 12th Cavalry Division reaches Odobesti 15 miles northwest of Focsani (after 450-mile ride without losing a single horse). Eastern Front: German Navy airships L35 (Ehrlich) and L38 (Dietrich) arrive at Wainoden for Operation Eisernes Kreuz (Iron Cross), a raid on Petrograd advocated since early 1915 by Grand-Admiral Prince Heinrich, C­-in-C Baltic Fleet. Western Front: 5 Jasta 2 fighters (led by Richthofen) shoot or force down 5 DH2s. RFC observers engage 85 targets including destroying 3-gun anti-aircraft batteries, takes 741 photos.